Automotive Safety Engineering (ASE) regularly tests and inspects amusement rides and associated amusement devices, stunt airbags, and other stunt devices to ensure they are up to required standards and are safe for operators and patrons alike. ASE can classify your amusement rides and devices by obtaining values for speed, height and acceleration, and then computing the dynamic product of those values to assess the intrinsic safety of the device in accordance with AS 3533: 2009 - Amusement Rides and Devices. 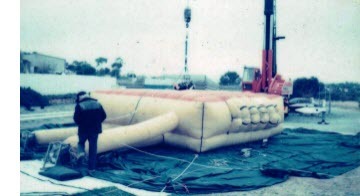 In addition to testing and certifying amusement rides and other amusement devices such as jumping castles, 'bumper-boats' and 'dodge-em cars', ASE also has experience testing and certifying multi-chamber airbags for use in high-fall stunt work, and other stunt devices and associated equipment. 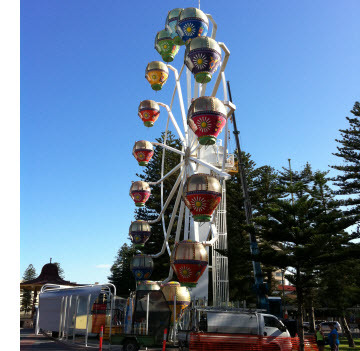 At ASE we have experienced engineers qualified to inspect, supervise and provide advice in regards to the structure and safety of all amusement rides and devices, stunt airbags, and associated stunt equipment. ASE is accredited by WorkSafe. For further information about certification of amusements rides and stunt airbags please contact ASE.